If you ever go to Italy don't take the main or the toll roads. Because you will miss a lot of what Italy has to offer. On our way to visit the Gaerne factory this is exactly what we did. We took the scenic route and loved it. We were met with twisty roads that go through small towns with churches in the center of them with classic Italian architecture that you would expect to see. Basically beautiful, romantic and inspirational. Arriving at the factory we could tell that we were in for a treat. The outside was clean, neat and very professional and that carried over into the lobby. When you stepped into the lobby you were immediately greeted by the receptionist parked behind a very warm wood counter. 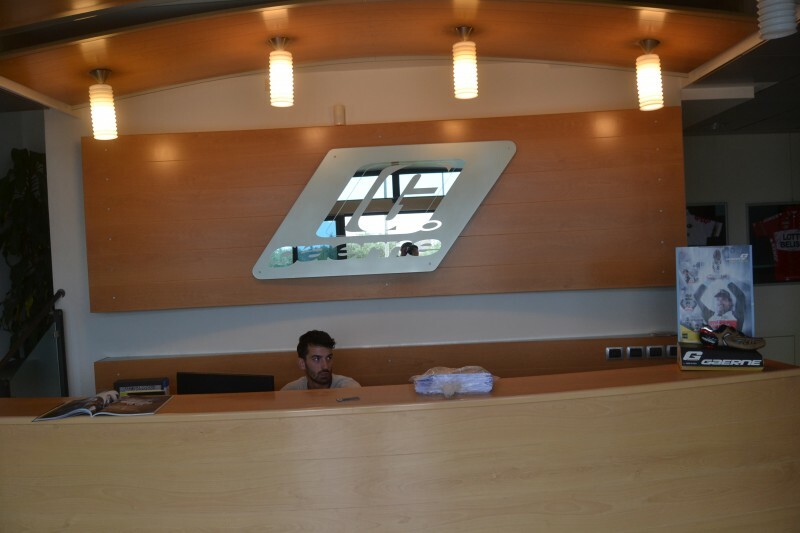 Behind the desk on the wall is a chromed mural of the company logo. Normally there is a PR person that will take you around the factory and give you the tour. 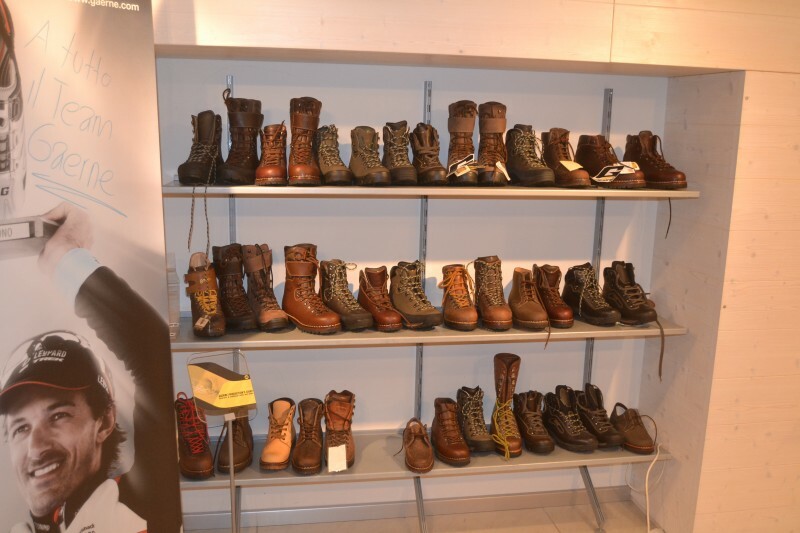 But Gaerne is a family business and the family is very passionate about shoes and that meant a tour by a family member. The owner and founder of the Gaerne is Ernesto Gazzola. 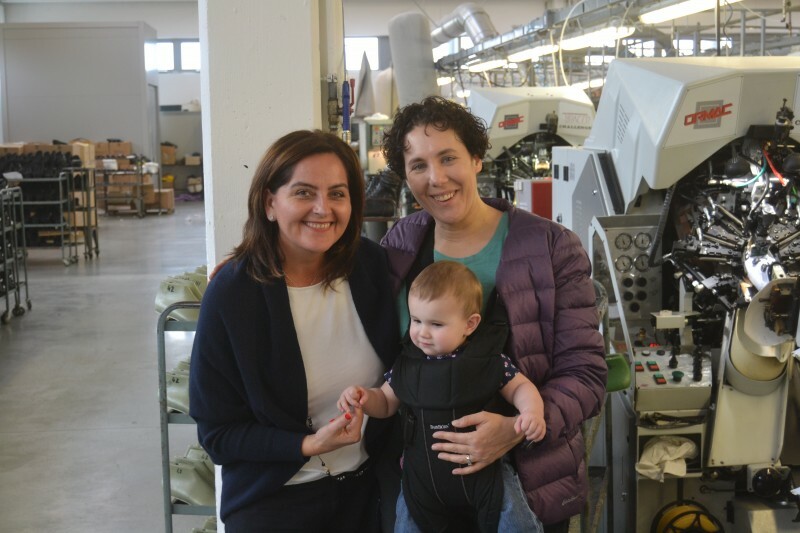 I was lucky enough to get to spend some time with the Daughter of Ernesto, Marta Gazzola. Marta took us down stairs to the basement which has been turned into a large showroom/conference room. From there we got to know each other. 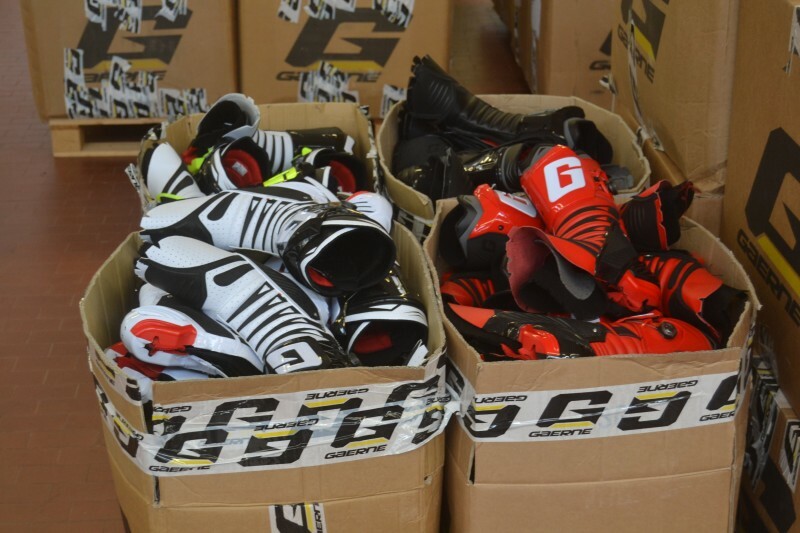 And thus the history and evolution of the Gaerne shoes. So let's get to how this all started. Ernesto was born into a family of 6 siblings and his father was a farmer. When Ernesto was between 12 and 13 his father told him that he was not going to make any money as a farmer and told his son to go and get a job. Ernesto got a job with a local cobbler repairing shoes. 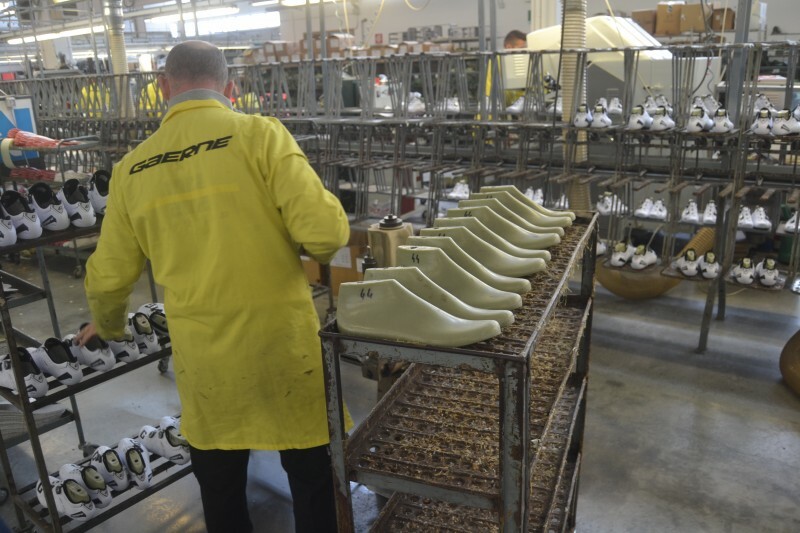 Between 16 and 17 Ernesto joined a company making military shoes and the job was cottle. This was a pay for performance position. Ernesto was paid by the number of shoes he would make per day. Ernesto was 25 when he married the love of his life Victoria, who was 21 at the time. 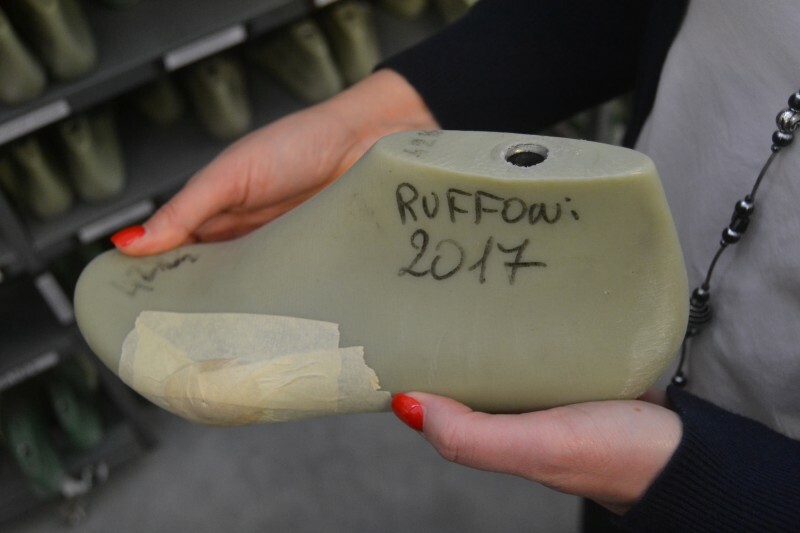 Victoria was also in the shoe industry but working in a different factory. 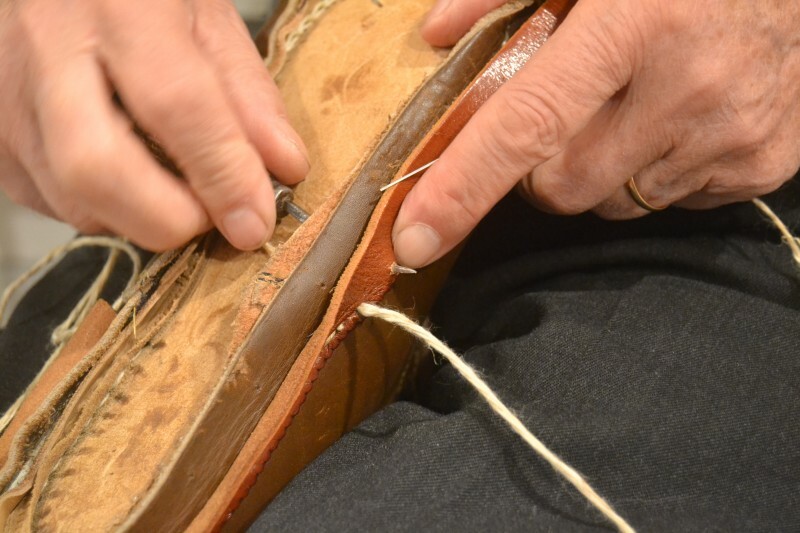 Ernesto would work during the day, while his wife would work from home because they had a baby, and then Ernesto would work during the evening at home on shoes as well. 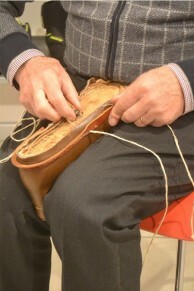 Ernesto was making his own shoes in the evening. 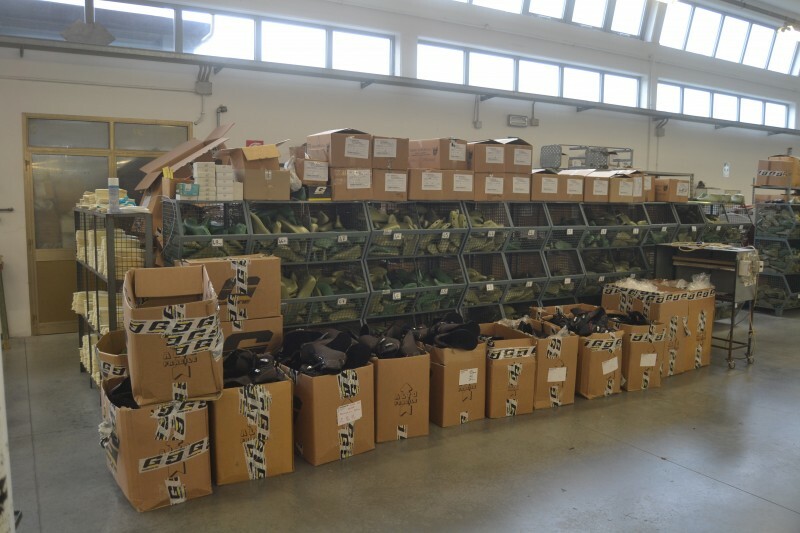 In that region of Italy you could buy all of the materials you needed to make shoes. People started to notice the quality and craftsmanship of his work. So slowly his side shoe business started to grow. 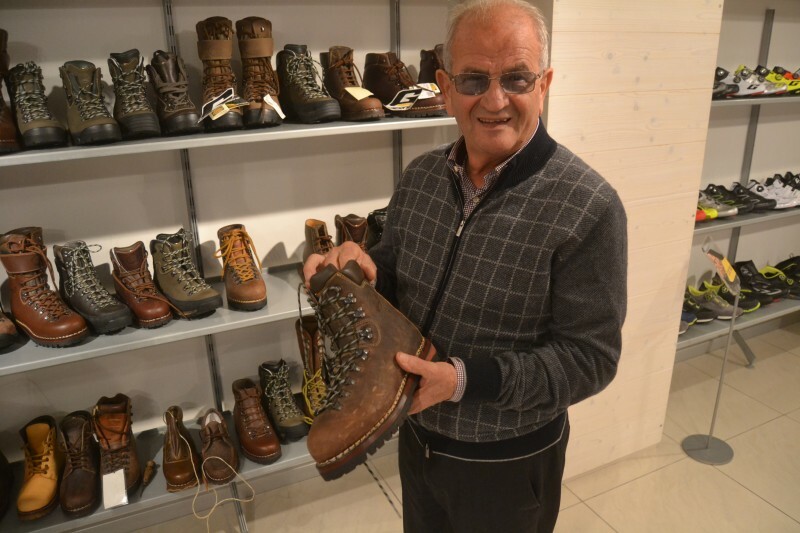 At the age of 32 Ernesto started his own Company “La Scarpa de Ernesto” this translates to “Shoes by Ernesto”. Besides himself, he had 1 employee, his brother and then he added his brother in law to the company later on. How the name of the company has its own story too. Gaerne is a combination of two words with “GA” stands for Gazzola and “Erne” stands for Ernesto. By 1975 Ernesto was making hiking boots and had 2 boys and 2 girls. 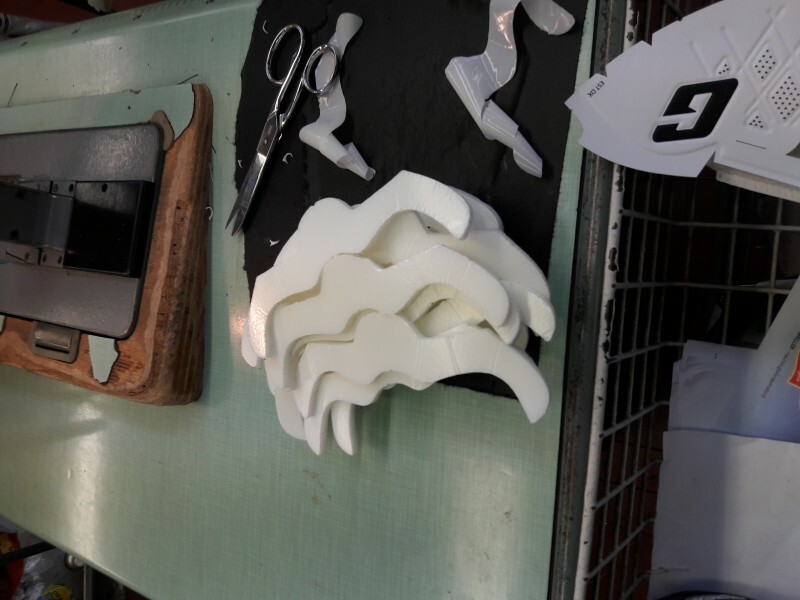 One of his sons was riding motocross and asked Ernesto to make him a pair of motocross boots. Motocross boots were very similar to hiking boots and Ernesto made a pair and soon his son’s friends and competitors were coming to Ernesto for motocross boots. The boots became very popular. Ernesto’s father had told him time again and time again “Opportunity will never send out advance notice!” This is also the case with the motocross boots. One day Ernesto’s son in March of 1975 was out riding and spotted a van roaming the streets of Maser and it had “Viva Montesa” painted on the van’s side. Ernesto’s son knew Viva Montesa was the famous Spanish Motorcycle firm. The driver was a Mr. Claude Renaerts, who was the Belgian importer of the Montesa brand. This chance spotting would turn into a meeting and then a business order of 400 pairs of boots. This would launch the company to the next level. 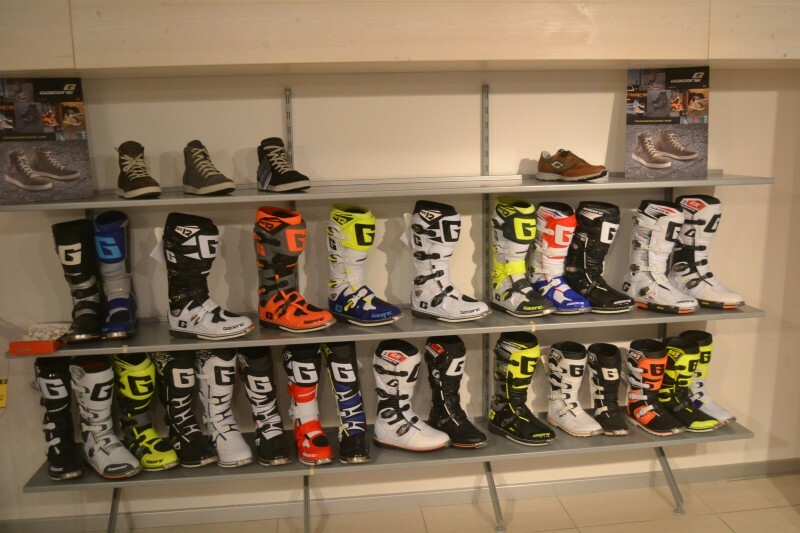 The popularity and innovations in Gaerne motocross boots would never stop. 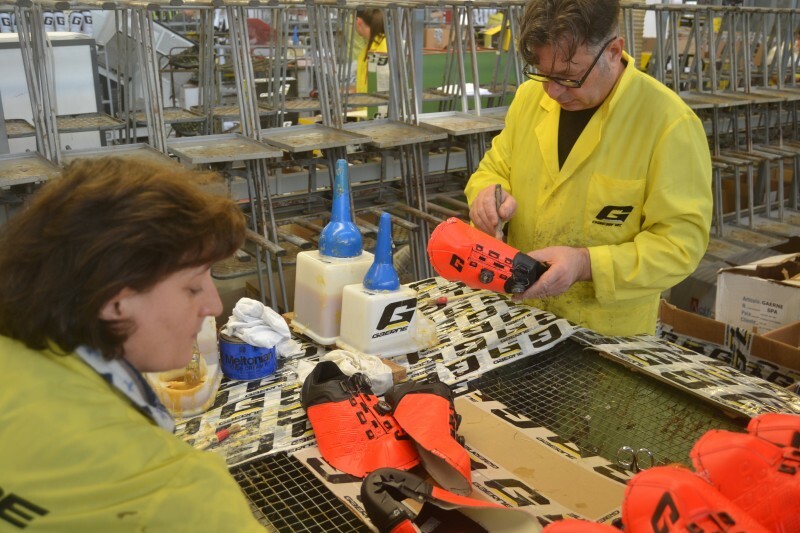 Riders have won championships year after year on Gaerne boots and to this day, it is one of the most sought after pairs of boots for this sport! 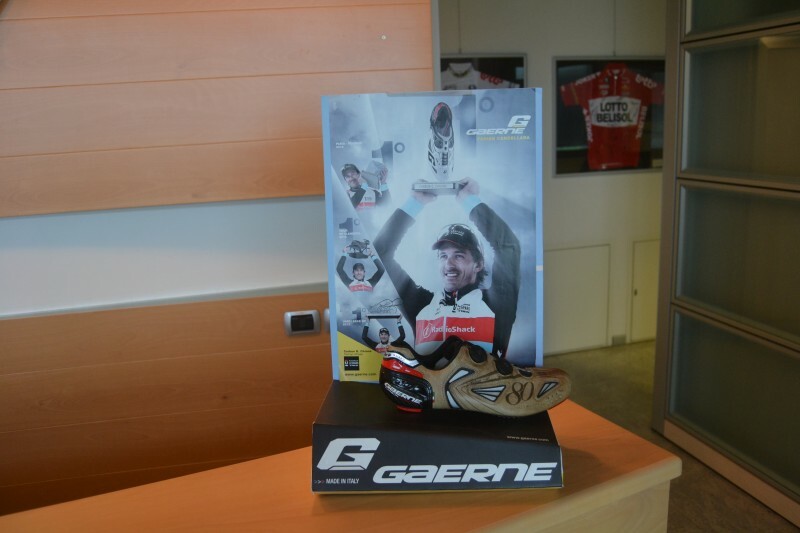 Gaerne made the first cycling shoe in 1985 for mountain biking. 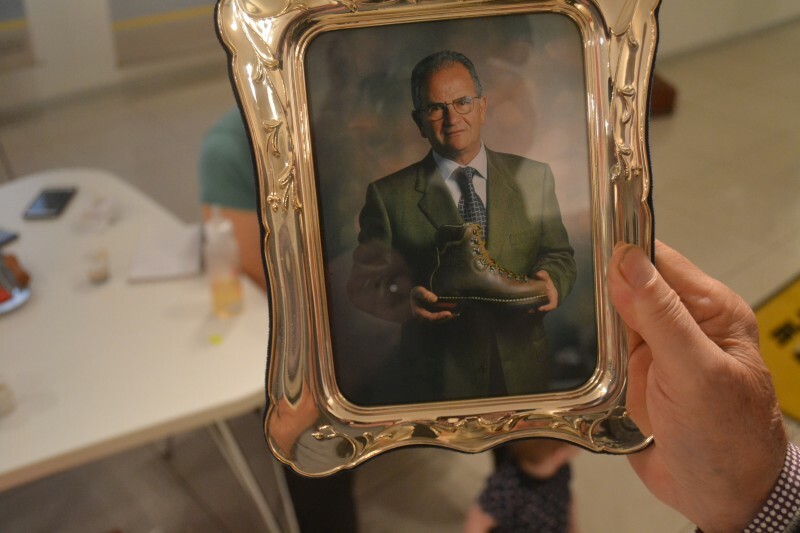 This was a natural progression for the company because the MTB cycling shoes looked like hiking boots to Ernesto. So it was another natural evolution of the core product. 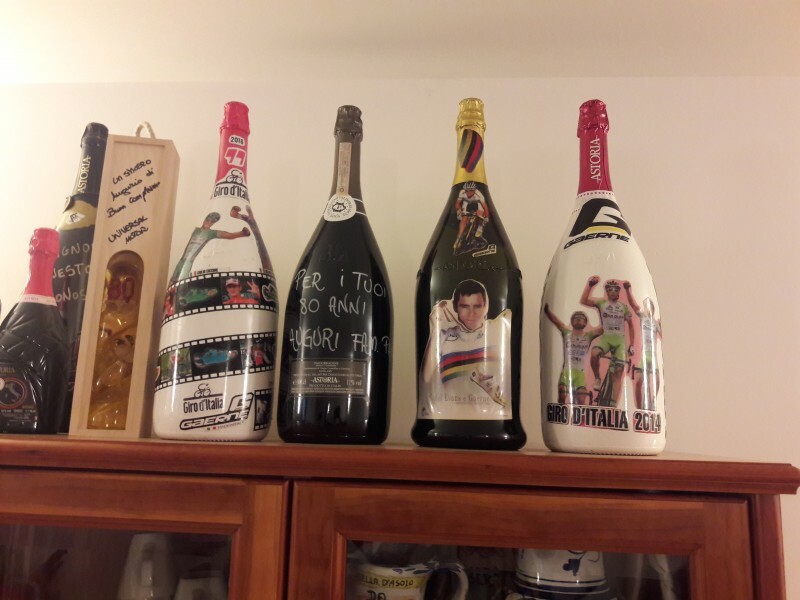 Ernesto will tell you that cycling is in their blood here in Italy and he has always followed the sport. 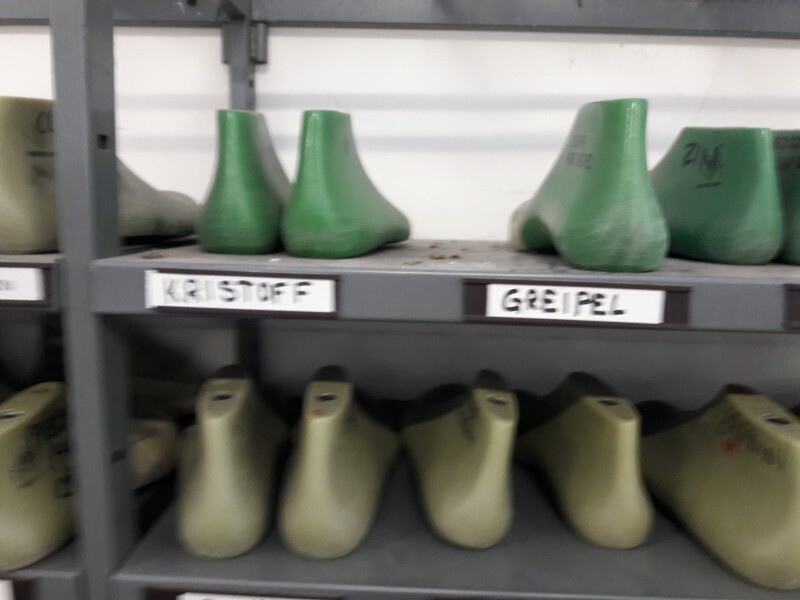 Because they had been producing motorcycle boots meant that Gaerne had an in depth knowledge of the materials and construction of what would be needed in cycling shoes. After they had been producing road shoes for a bit the results were so good that one day Sean Kelly was spotted wearing a pair. After that things just started to happen organically for the shoe company. 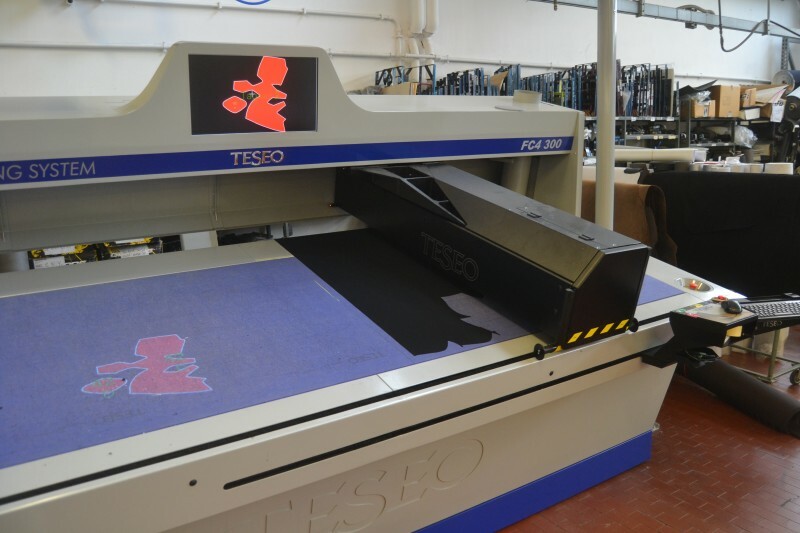 They would innovate but never deviated from their core value of producing high quality, handmade products. 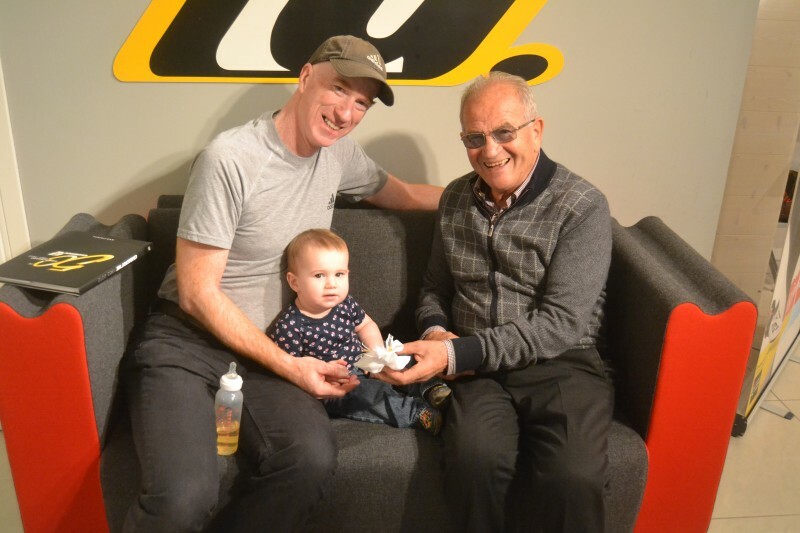 Over the years Gaerne had a passion for cycling shoes and the relationships that followed were a direct reflection on that. The pros that rode and won in his shoes is a venerable list of who's who in professional cycling. There are a few things I can say about the company. The first one that comes to mind is “family”. It’s a “family” business and the driving force behind that is Ernesto. He started his shoe business because of family. His first employees were family and he treats his employees like family. This has created a work environment that there is hardly any churn. Churn is a term to describe the turnover of employees. Here at Gaerne everyone knows each other and their families. It’s almost a foreign concept to Americans nowadays, but it’s at Gaerne fundamental core. The second word that has to be used is quality. The shoes has to be the highest quality of materials and design. 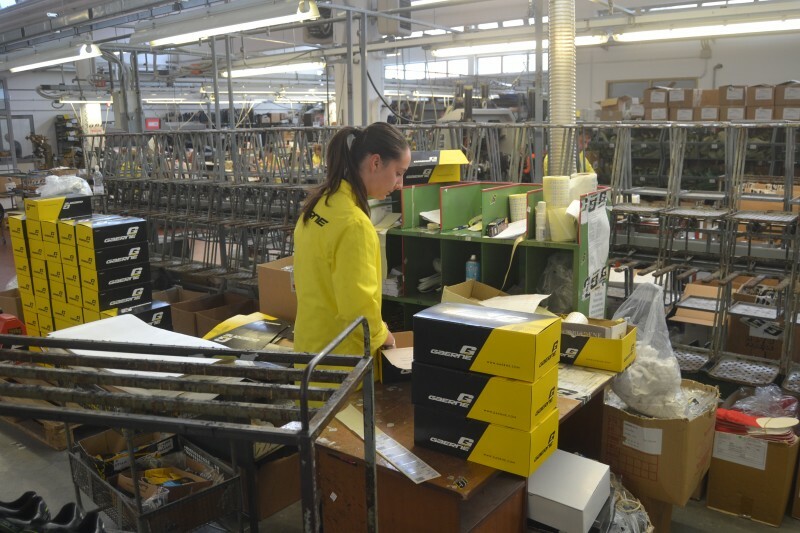 Most men in their 80’s are on the golf course, Ernesto is on the factory floor making sure that quality is never an issue. This type of dedication and passion is evident in the results over the many years Gaerne has been in business. 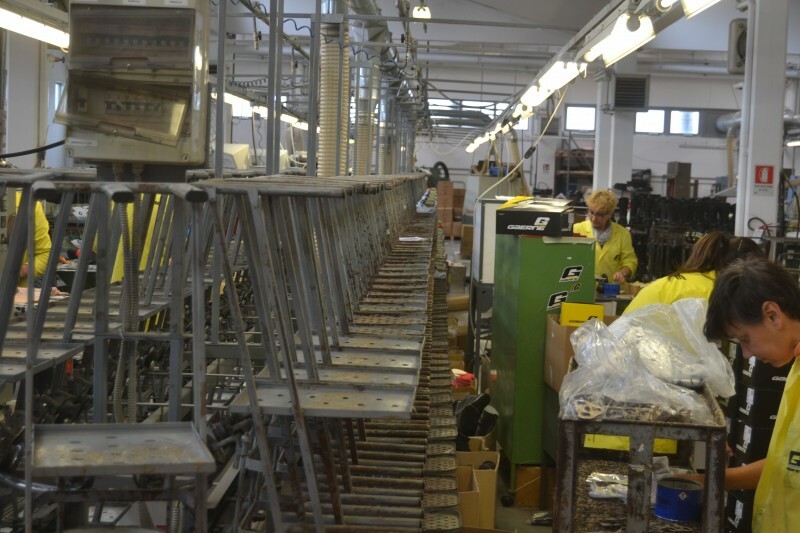 After our meeting we were given a tour of the factory and shown how production is done. 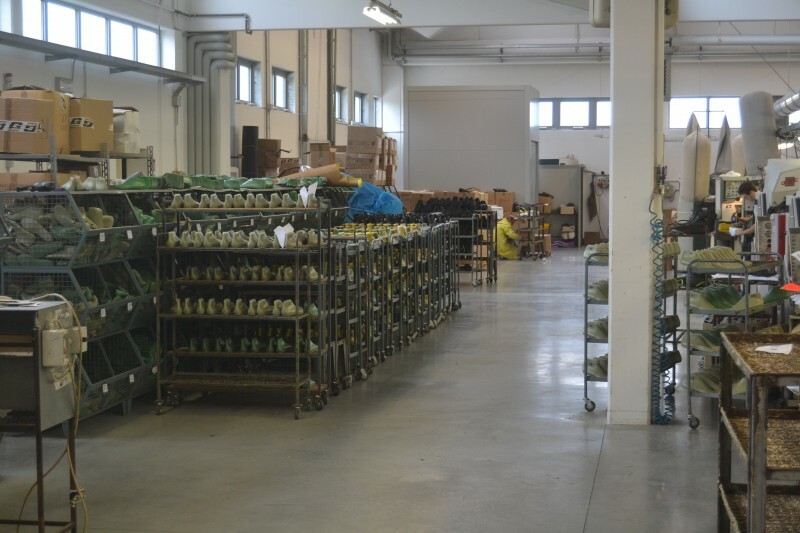 The factory is one big open room with a couple of offices that are for R&D. Our host Marta has a display that shows each and every part that goes into their top of the line Mountain bike shoe. 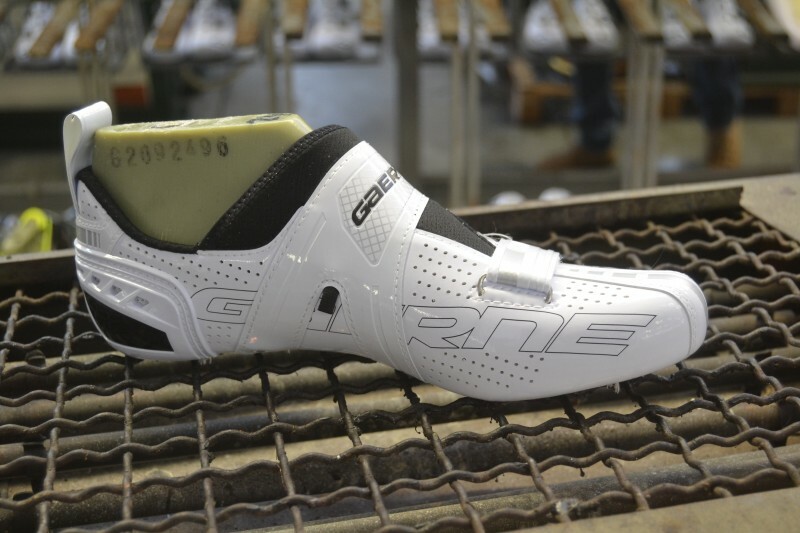 There is 109 parts that make up the G. Sinco + MTB shoe. 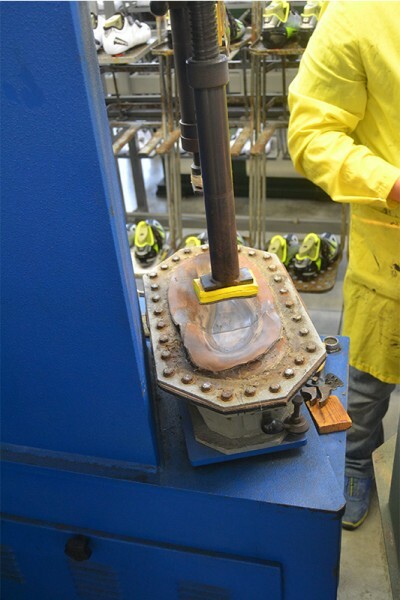 It's quite impressive how many parts go into the production of a shoe. 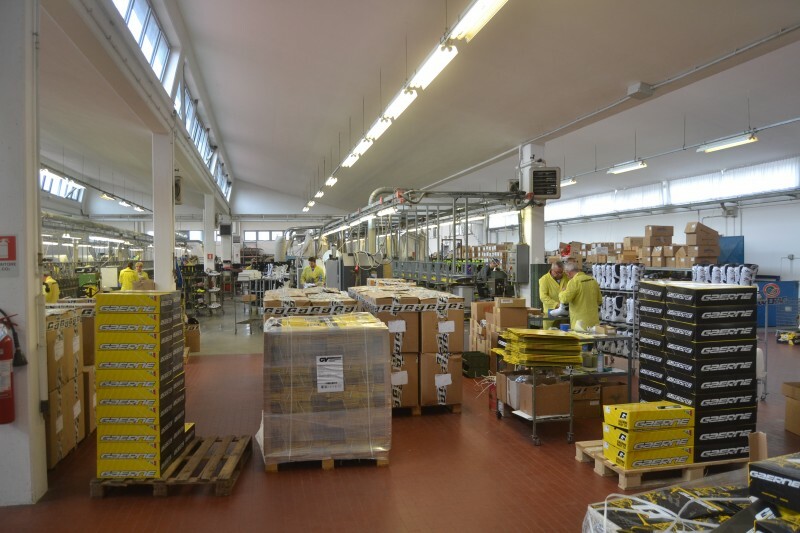 The Factory floor has a flow and moves from left to right. Initially the uppers are made. 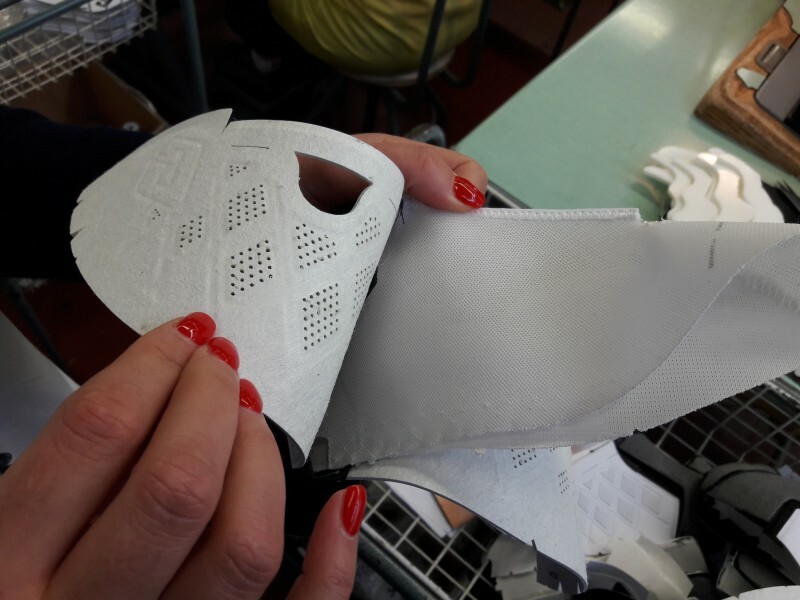 First the pattern is cut from the material and in this case its lorica. 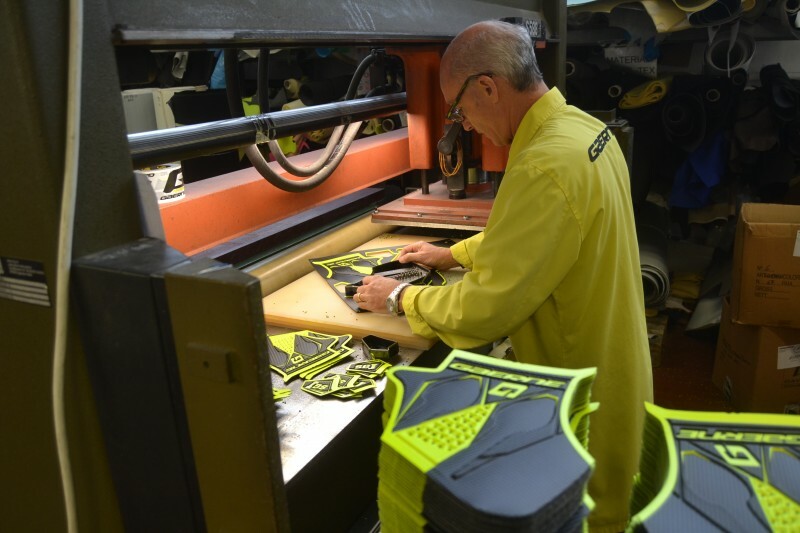 Lorica is a synthetic material that feels like fine leather but is stronger and wears better. Once the template is cut out it is taken over to the sewing stations where each one is hand sewn together. Nothing in this factory is made by robots and everyone that is in the factory has been there a long time. So they are not only experts but craftsmen in their jobs. Even though this is what Marta told me in our meeting, it was obvious to me as I walked around and toured each station there, I could see how quickly and precisely each person was doing their job. One theme I got from our initial meeting is the company is “family”. The roots of the company has always been family and as the company grew and added employees that philosophy continues to this day. Ernesto and Marta treat each of one of their employees as family. What this means is that no one leaves the company. The work environment is one of unconditional love and support. Everyone takes pride in their work because each product they produce feels like their name is on it. This ensures that each shoe that comes out of the factory is of high quality. Marta explained to me that if there is a problem they talk it out and work through it. 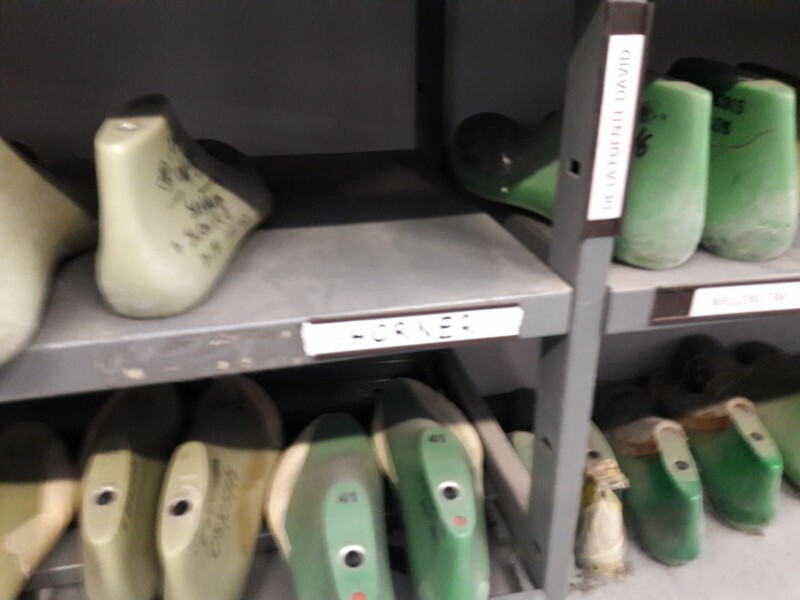 One of the things that had a big impression on me was all of the shoe molds for pros. Shelf after shelf of molds with names on them is no accident. 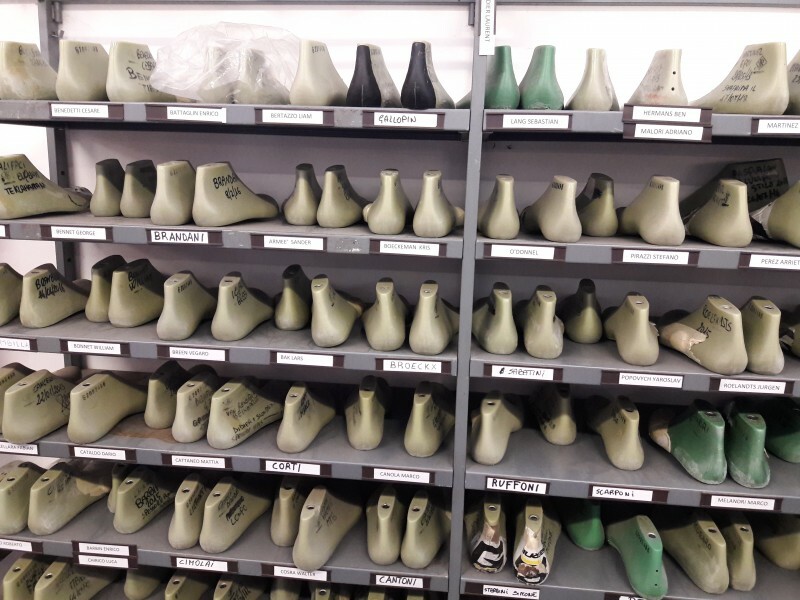 It turns out that pros come in and get that special treatment of having a mold made to their foot. Marta took out a couple of molds and showed us some of the unique foot structures that some of the pros have. Needless to say the pros feet are not perfectly symmetrical in their shapes. 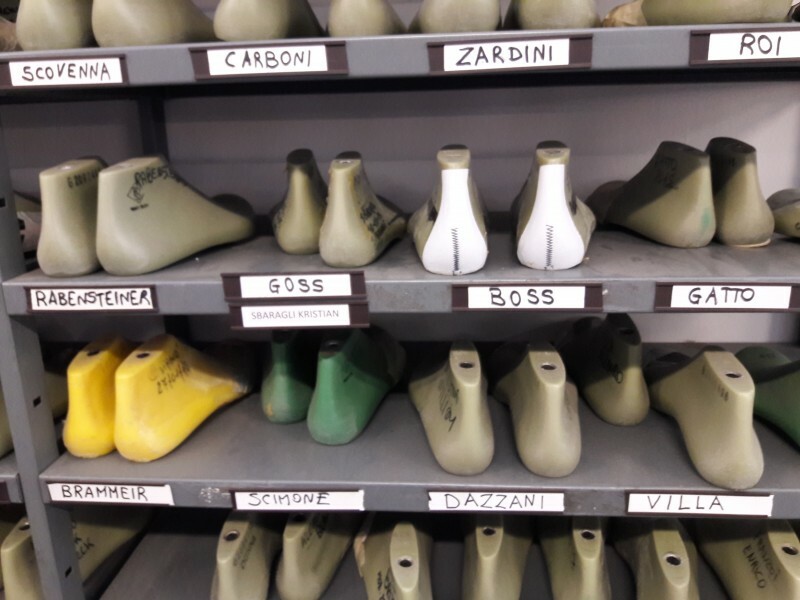 Once they make that mold for the pro and have made their shoes for them their mold goes on the shelf for later. 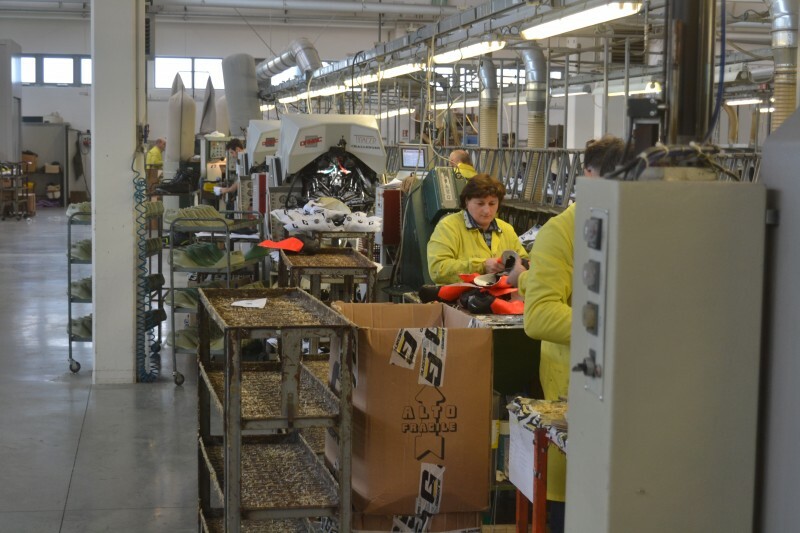 As we were finishing up our tour of the factory, I noticed that Ernesto was on the factory floor. I told Marta that her father was here on the floor and her response was “The factory floor is his office”. So Ernesto is still working the floor making sure that each and every shoe is perfect. 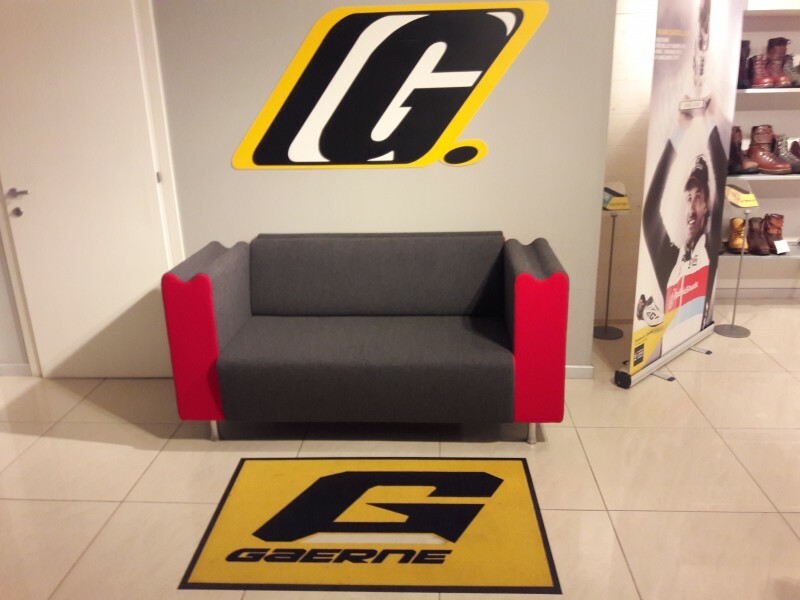 If you are lucky enough to get a tour of a cycling company factory and offices you will see some of their accomplishments. These can be anything from photographs to jerseys hung up in various places. At Gaerne these things are everywhere. To the point that I think that they probably have a lot more in storage somewhere. Everywhere you look there were pro cyclist winner in their shoes. 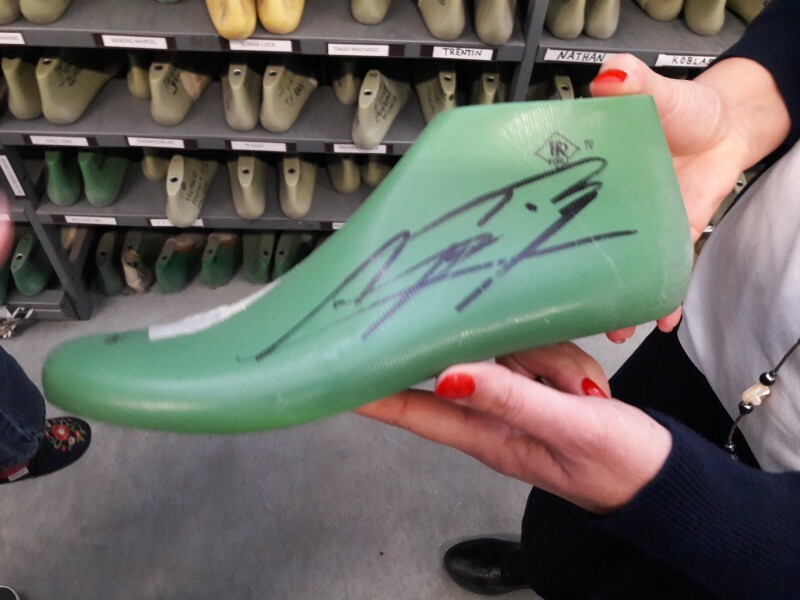 Shoes that were autographed or were made in the world championship colors. 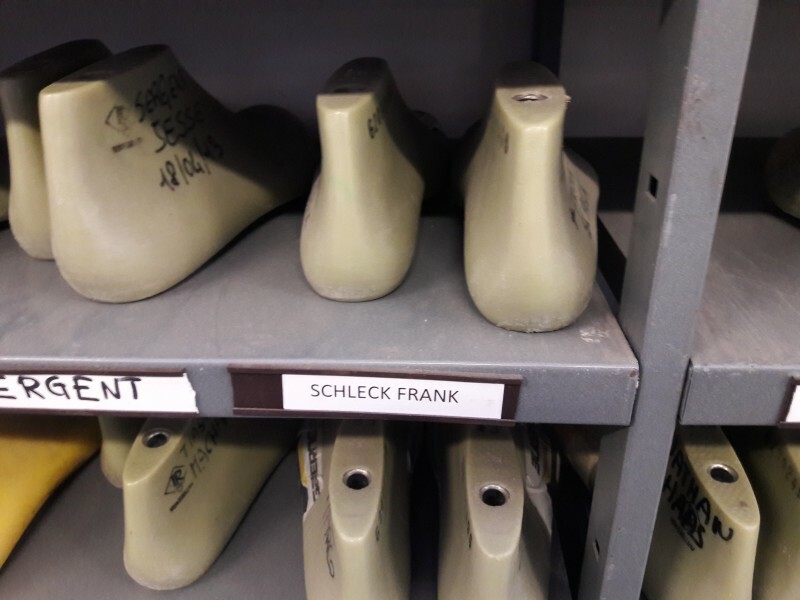 It’s quite impressive what this little shoe maker has built “a family and a company” with some love and attention to detail. This is the line that started it all.